Sundays around here are my favorite. They are the only day of the week that I get to unplug with the family while we hang out in our jammies and do nothing. We watch movies on the couch, make sheet forts and pretty much just take the day to unwind from everything that happened the week before. It’s also the only day of the week that the family sits down together for a big breakfast. 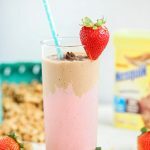 Throughout the week the kids have cereal or fruit on the go and my husband and I skip it altogether, so having one day that we all share a family breakfast is something to look forward to each week. My husband and I usually take turns doing the cooking, and even though I thoroughly enjoy it I am more than just a little tired of biscuits and waffles. 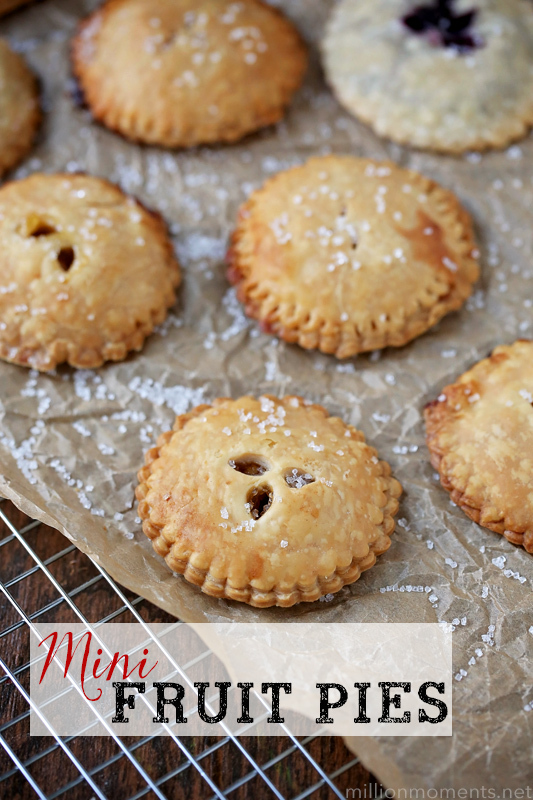 They are delicious, but having them week after week gets old so I decided to switch things up with some fun and fruit filled mini pies! 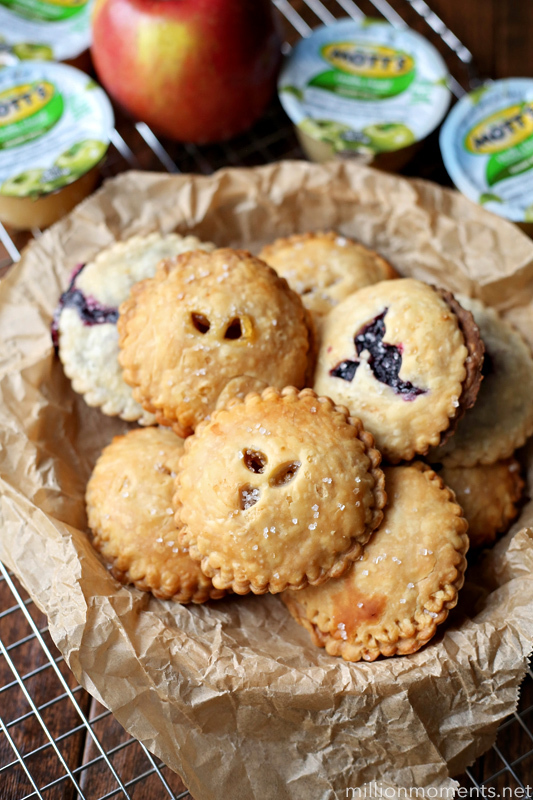 These mini pies are made with my favorite classic pie crust on the outside while the inside is stuffed with fruit filling. 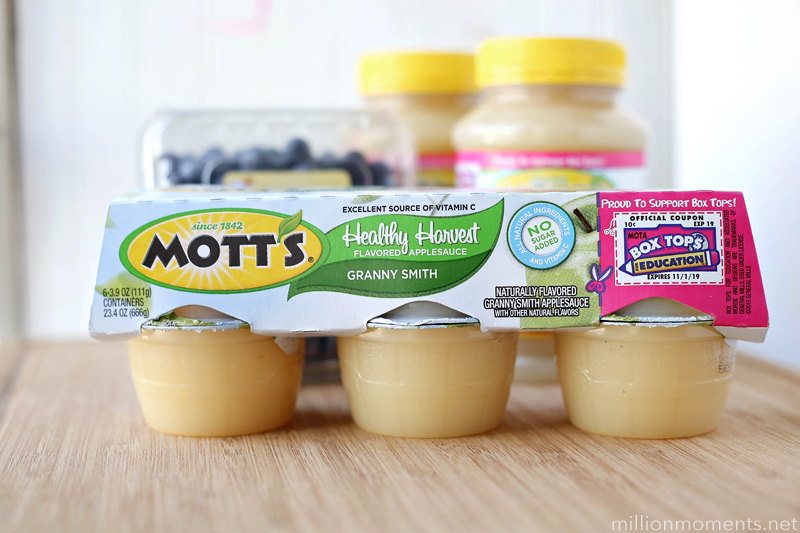 Plus, I have found that swapping out my usual oil or butter for a cup of Mott’s® Healthy Harvest Granny Smith Applesauce helps keep them in line with the smart ingredient choices that I like to stick to. It’s 100% natural and fresh pressed, which tastes great. 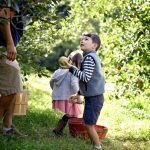 Applesauce is great as an oil substitute in almost anything, plus it adds a hint of apple flavor, which is perfect for my pies! 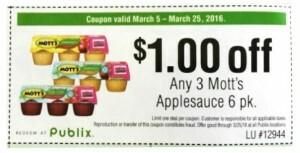 Oh yeah, and if you purchase 3 Mott’s® Applesauce (any variety) at Publix right now you can save $1 with a printable coupon. The very first thing that you are going to do is prepare your dough. 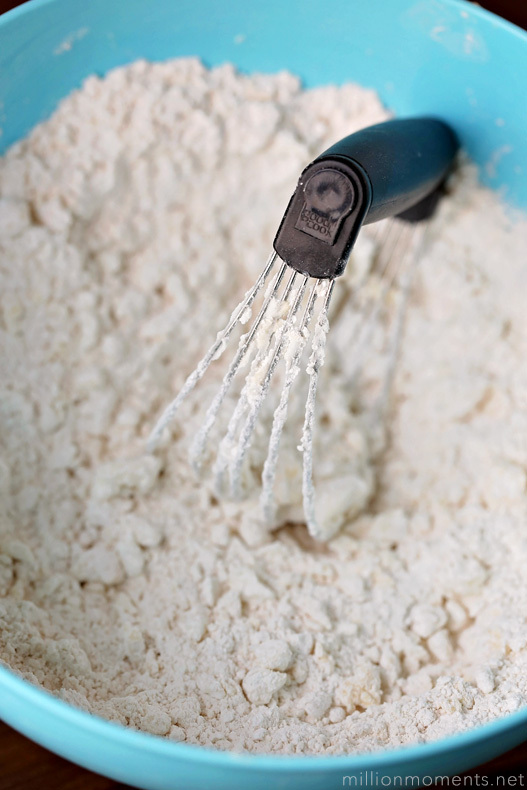 It won’t take you long to mix, but it will need to sit in the fridge for at least 20 minutes before you use it, so make sure to either give yourself plenty of time or make the dough the night before you need it. Now, I normally use butter or oil in my pie crusts, but I’m starting to experiment with substituting smarter ingredients lately. 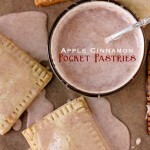 When I heard that applesauce could be used in place of oil, I just had to try it! One of the 3.9oz individually packaged applesauce cups equals around 1/2 cup of oil, and it’s a great way to cut down on calories in recipes. 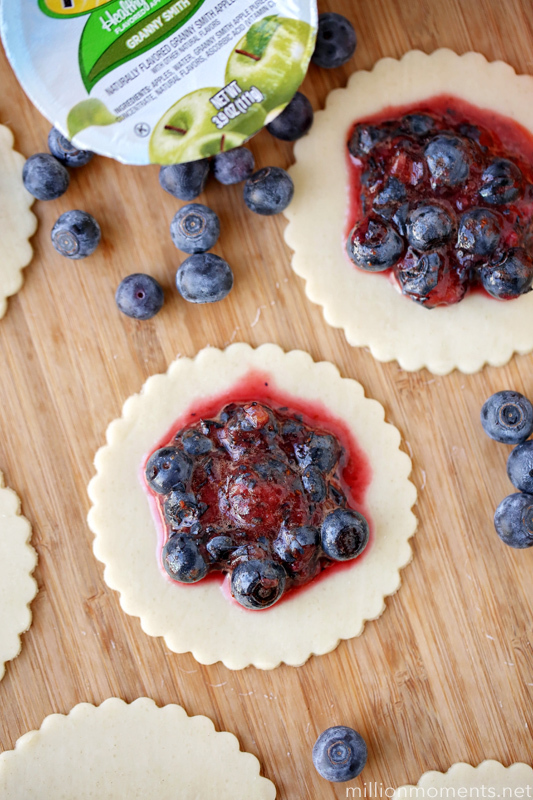 Next, add in your ice water one tablespoon at a time and work it in until you have dough that doesn’t stick to your hands. I like to stay around 4 tablespoons of water, but how much you need to use will depend on a number of factors so make sure to add in *just* enough water to give you a nice workable dough. Once your dough is formed roll it into a ball, wrap tightly with cling wrap and set in the fridge to chill for at least 20 minutes. 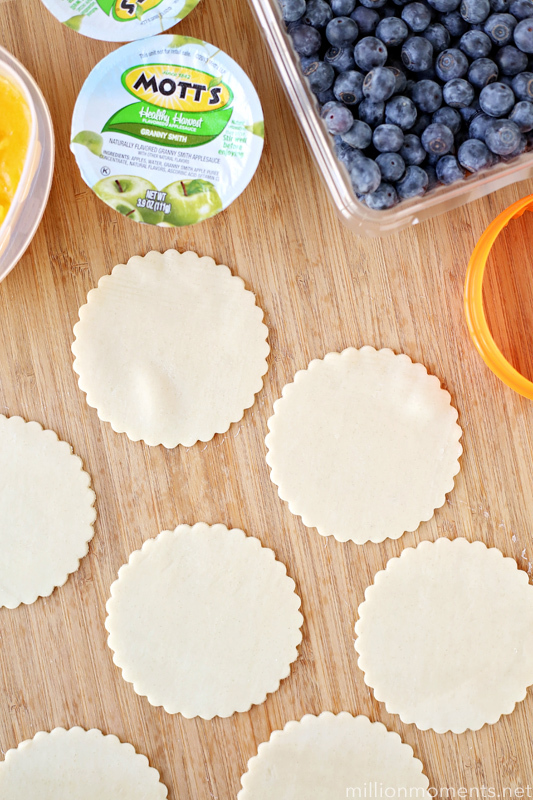 While your dough is chilling you can prepare your filling. 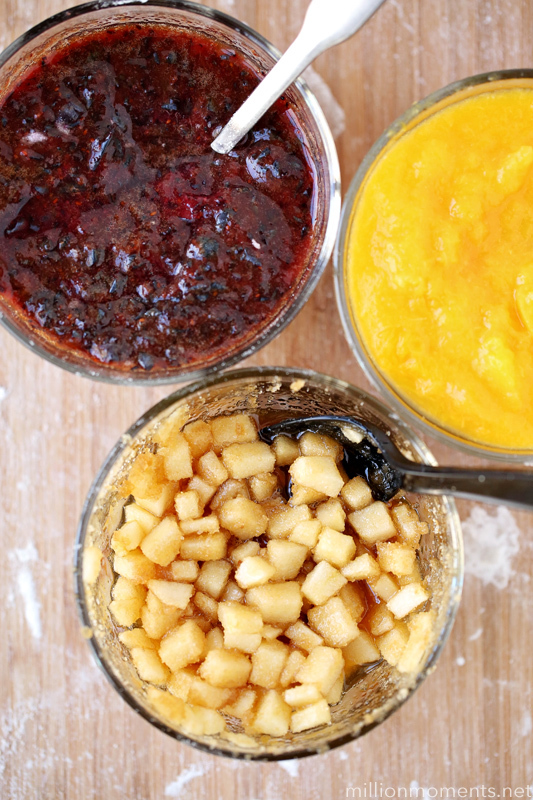 This is super simple and all you need is your choice of fruit – I am using blueberry, peach, and apple/cinnamon. 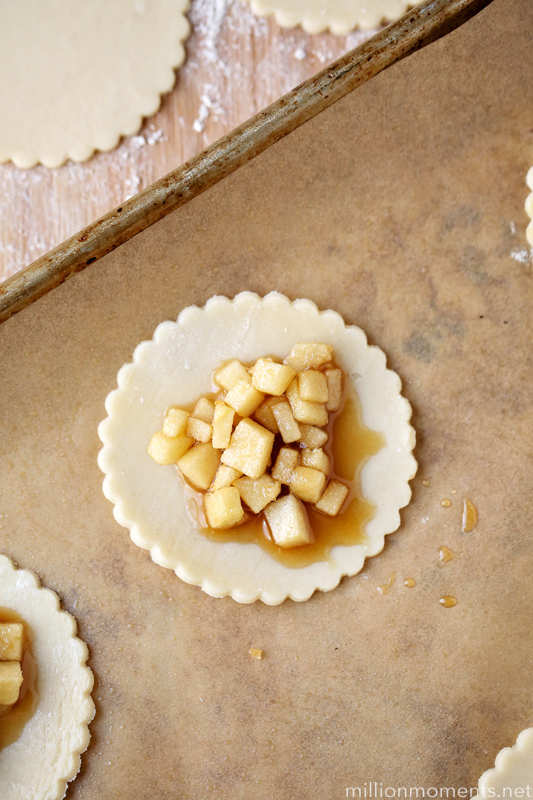 For the apples, I cut them into small cubes and mixed with brown sugar. And for the blueberries/peaches I just smash them with a fork until I had a nice texture. Easy peasy! 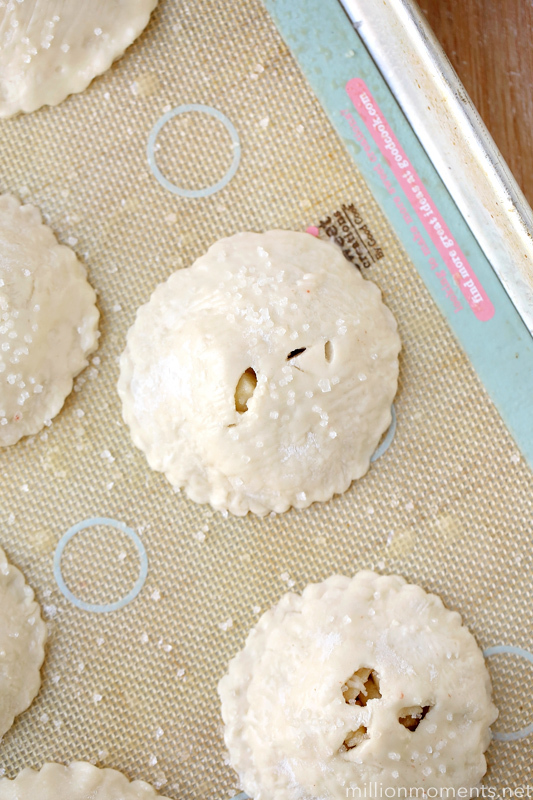 Once your dough is chilled, go ahead and get your area ready, then preheat your oven to 325 degrees. Now roll out your dough. 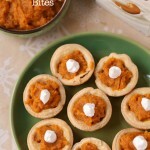 Cut into circles with a cookie cutter or the end of a cup/jar, and add a spoonful of filling to the top of half of them. 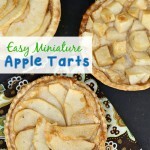 Next, add the tops of your pies (watch the video below for how to put them together, plus a super easy tip! ), and then brush with melted butter. 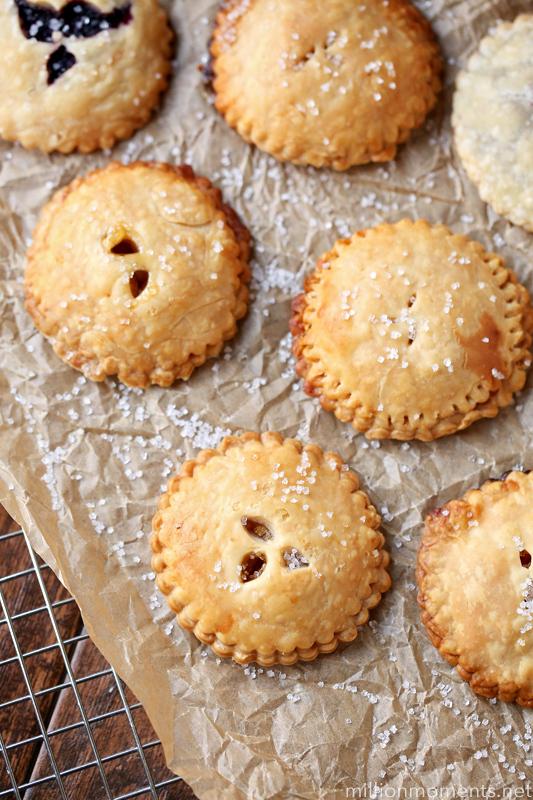 Sprinkle with sugar crystals, pop in the oven for 15-20 minutes, and then they are ready to serve! 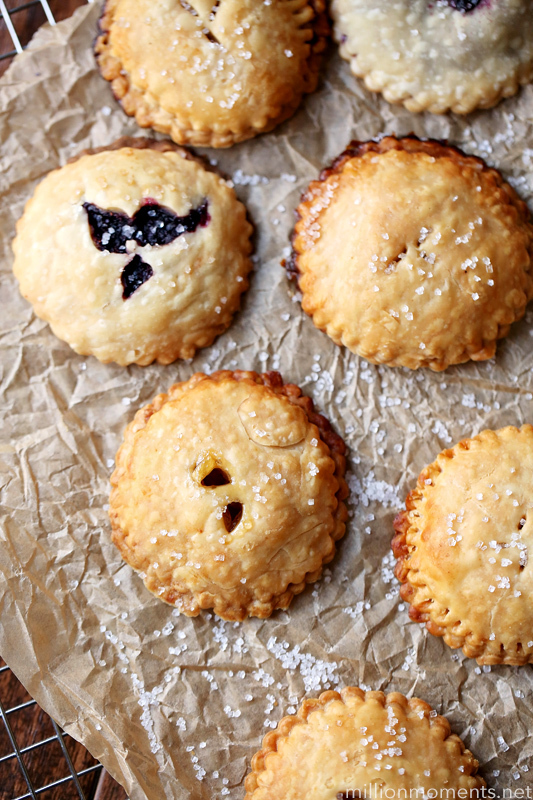 If you want to add a little extra flair, cut holes in the tops of your pies. They will look adorable once cooked!